The 32 DVS deluxe gas fireplace insert offers the ultimate in beauty and performance, and is great for heating small homes and living spaces. This gas insert has the same heating capacity as the 31 DVI but features the award-winning Ember-Fyre™ burner technology and high definition log set, along with fully automatic operation with the GreenSmart 2 handheld remote. The 32 DVS gas insert also comes standard with powerful convection fans that warm up your room quickly and help circulate heat to other areas of your home. Another feature of this insert are rear *Accent Lights that illuminate the interior of the fireplace with a warm glow, even when the fire is off. 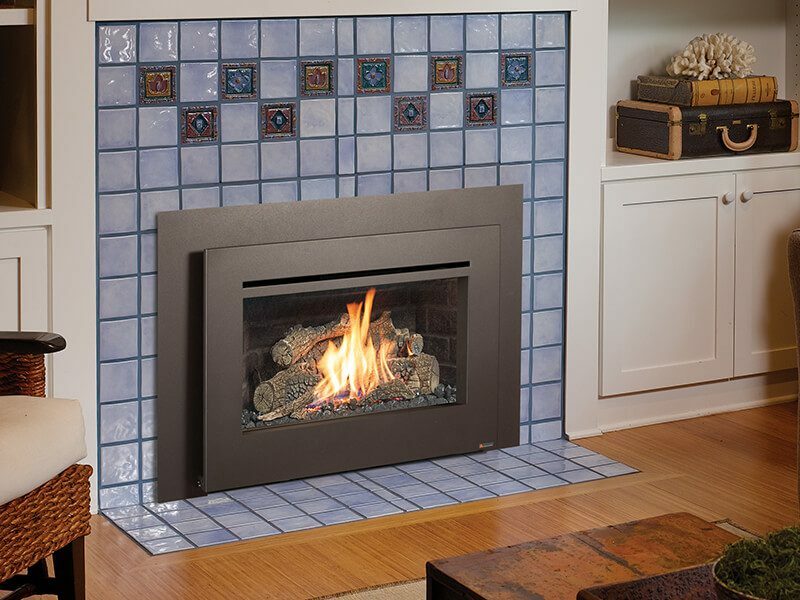 The 32 DVS gas insert features the Ember-Fyre™ burner and high-definition log set, or the Dancing-Fyre™ burner with your choice of log set. It also offers a variety of face designs and fireback options to choose from.